There’s a time to speak and a time to be quiet. Or as Solomon put it, a time to be quiet and a time to speak. God must think that way too. His Book is full of bounded silence. What is said matters. And what is not said. What is not said can be a matter of life and death. Jonah said, “40 days and Nineveh will be destroyed.” The whole city heard those words. And someone thought to think about what was not said. What if? What if that ancient event (buried somewhere in the story and outskirts of Mosul in modern Iraq) is meant to help us explore for ourselves what we know for sure about our God— by reflecting on what he did— and didn’t say? Seems to me that when David talked about the blessedness of the person who contemplates day and night the words entrusted to us, he was urging us to find ourselves— and our God… not off the page. But between the lines. Reading between the lines it is the condition of our hearts that matters to God. I can see from the characters in the bible that God seemed absent for long periods in men’s hearts as often as He was present. Why?, their humanness got in the way of God’s will, the flesh is weak and these men where weak as often as they where strong. The folly of men is pride and that in his weaker moments he believes it is he who is in charge of himself. God comes in and out of our hearts as He sees fit which is when He sees fit. Paul’s awareness of the deceitfulness of his own heart is evident in him by the words that he uses to talk of Jesus and Paul was NOT DELUDED in thinking that there was any others means of him ‘being right’ with God but by the ‘Cross of Christ’. The white between the black and red seems to be getting to know God’s character. After Jonah told those in Nineveh what could happen but he knew God’s character of love, goodness and mercy. Jonah did not seem to want them to be shown that part of God. Do we like Jonah not want God to show love, goodness and mercy to our enemies? That would be like us not wanting God to give us love, goodness and mercy because after all we were once His enemies. Reading between the lines we find that maybe our seemingly unanswered prayers may be a way God is preventing something bad from happening if He does answer them the way we would like. This is actually a wonderful abstract thought that Mart has put forward. I am one who is very cautious about “reading between the lines of Scripture”, but this is a different approach to seeing something that wasn’t there. It is quite the testimony, that for one, the people of Nineveh including its king believed Jonah, and more importantly that they believed the God of Jonah. On the strength of that story countless numbers of preachers, and lay people have prayed for forgiveness and revival in our respective countries, hoping to stave off judgement from a God they believe. I would venture to guess that many a college professor who discounted the accuracy of the Bible to their students, never knew that there in Iraq was the tomb of Jonah, a physical evidence that the story was true. ISIS members blew up the tomb on their march of senseless destruction throughout the regions of Iraq and Syria. Sometime back (A few years) Mart had a topic up about the differences between the teachings of Jesus and that of Paul, questioning whether or not Paul had overstepped his representation of what it was God wanted from us. John wrote in His Gospel message that if all the things Jesus did or said were put in books, the whole world could not contain them. That is quite a statement, thinking about how large the world is and how small in comparison the Bible is. If you take from the Bible just what Jesus said alone, one could indeed say that there is plenty of room for what He did not say. Yet as we look backward across the Bible What God said and did could be added to what Jesus said as well, because we believe they both to be the same. So Jesus had a lot more to say after all. I know people who pray Scripture, believing that it somehow adds power to the prayer. I believe that God hears the slightest whimper from a hurting heart just as loud and just as empowered. I also believe that God hears/reads between the lines from our hearts and our prayers as well, always seeing more than even we can even from the depth of our own hearts. 38 degrees and sunny, in the late morning here with 5 inches of snow yet on the ground. “40 days and Nineveh will be destroyed.” The whole city heard those words. And someone thought to think about what was not said. What if? what if we repent? what if we trust God’s messenger? the people of nineveh enjoyed grace and mercy for another 100 years till that generation passed and a new one came. God’s love and mercy are indeed great outside the boarders of Israel. At the end of the day, the most enjoyed experience for me is when the lights go out, the TV is off and there is silence and darkness. My sensory functions are just beginning to rest. It rarely lasts long, but what a refreshing experience it is. There are just times when silence, like laughter is the best medicine. Seeing that the Torah/OT is more of a history of Israel, her neighbors and through by which God explains Himself. What is “not said” is what of all the other nations and cultures all around the world? God Himself ordained their creation and forced them to spread all around the world, this much is given in Scripture. Also given in Scripture is that all of these nations would be blessed because of Israel. This we have come to learn is because out of Israel the Messiah/Christ was born. Very interesting is that among many cultures all around the world is the story/prophesy of a child whose coming would bring peace to the world. Whereas we are to believe that Israel was to reintroduce God to a world who had forgotten Him, it is only through Christianity that it is being accomplished. Yet was God not involved and active with all the rest of mankind? And are we to believe He just let things move along without His involvement in other countries and nations just because they are not recorded in detail there in the Bible? Maybe it is we who should learn to be silent sometimes and learn to listen. 39 degrees and rain incoming in the mountains. I do not believe that God only works through Christianity, not in a modern world, a younger generation is turning away from God and looking to Science. God will do what He has to do through them whether they believe in Him or not. What is important to God is that His will is accomplished and who and how He chooses to do that will have a lot to do with the times we live in and we are now living in a scientific, technological age where answers to questions are being revealed all the time. God is in this age as He has been in all others, as you say Steve, it is us who need to learn to listen and look around us to see the hand of God is still active in a modern world. Does anyone really want to know God? If they do then how does one go about doing that? People seem more satisfied with guessing about Him than they do searching for the truth. How does one know what God has done in the past as a reflection of finding out who He is or what He is capable of doing? How can one read between the lines if they have never read the lines to begin with? Having a relationship, one on one, with God seems to have been the purpose from the beginning and one does not even have to read between the lines to find that out. Exodus 14:14NIV The LORD will fight for you; you need only to be still. Isn’t that powerful? Be still my soul, the LORD is on thy side, wait patiently…. Love that old song of blessed assurance that our God is not only powerful to save but to protect for all eternity. Now and forevermore!! It is having a personal relationship with God that encourages me to go on in this world, so yes, without a connection to God, I would feel very alienated in this world. We as believer’s live with non believers, and other religions who do not share our belief so without knowing God cares for us we would could get very disheartened. We also have to accept that God allows difficulties in our lives that we do not always understand and this can also dishearten us if we let our guard down. God reveals the truth to us when we are ready to receive it and not before as God knows us better than we know ourselves and trusts us accordingly. It is good to remind ourselves that He is in control because He is all too aware of our frailties’. Seems to me that when David talked about the blessedness of the person who contemplates day and night the words entrusted to us, he was urging us to find ourselves— and our God… not off the page. because of the blood of Christ and the Power of the Holy Spirit. i can do all things through Him Who strengthens me. let me be bound by cords of love to the horn of the alter. As for me I have plenty of trouble trying to understand the words of scripture, never mind what is between the lines. However, when it comes to comments about scripture, I think I can read between the lines fairly well sometimes. But, I guess I will have to wait for some of the much Wiser brothers and sisters to share with me what isn’t being said in scripture. WOW! I wish there was an editing option here. Nothing above is meant as it sounds!! The first line of the subject about a time to speak and a time to be silent, reminding me of that adage…not of anything written there after. Also, I didn’t mean I was waiting for Wiser brothers and sisters than those that already commented. I meant Wiser brothers and sisters than me. Phew…I am going to quit now as I may be making it worse. Blessings and please forgive me for being the latter part of that adage. narrow i guess it matters who you ask,seek,or knock. Behold, I stand at the door and knock; if anyone hears My voice and opens the door, I will come in to him and will dine with him, and he with Me. Yes, there are the sheep that follow but there are those that wander, and as a mother when I see my children going astray I do every thing in my power to guide them back to safety. Even when they are grown ups behaving like children I will tell them they are behaving like children. It is God who knows His children and He is concerned for the wandering sheep as He is for the found ones. Will He not use the found ones to gather up the lost ones? I believe God will use all resources available to Him to find His lost sheep! Will I as a mother ever give up on my children? Never have and never will, there is something inside me that bonds me to my children that only death do us part. Will God ever give up on His lost sheep? Viv I was just reading these scriptures before I read your post. Psalm 32:8-9 NLT. It is so comforting to know that God is with us on our journey, no matter where it takes us. Even the wanderings are not out of Gods reach! Those of you most likely won’t relate or perhaps understand, but those of us who live in small towns among other small towns and rural areas all are connected to each other in many ways. It is for that reason that each morning as we look over the daily newspaper, because of our ages, we look almost first at the obituaries. To see if there is anyone we know who has died. I have come to appreciate that people’s pictures accompany the Obituaries, especially when there is a young vs old picture of the deceased. Their stories also have come to be very interesting and certainly diverse. It is the highlights of their lives that is recorded, leaving a great deal “unsaid”. I admit Mart that when you write each new topic I am looking between the lines of what is said for what you aren’t saying. Feeling sometimes your pain and sometimes your search for answers. It often influences my own answers, as I try and respond to what isn’t said, but what is wanting to be said, as I perceive it. I said not long ago that the Greek’s and Roman’s already believed a great deal of the “supernatural” aspect of life and death, and so I feel it was an easier transition from fiction to fact, especially to learn that they, normal mortals, can get to live forever in heaven through acceptance of Jesus of Nazareth and so His message. Today it is much more difficult to get people to lay aside the intellectual views of existence, our part in it and ignore the “politically correct” social media of a “one world” connected culture, complete with political religious and moral differences. Sometimes the best we can do is back up to the basics and hold on tight to the garment of Jesus close our eyes and not let go…Holding on for dear life amid the noise of this world. Amazingly it reached 65 degrees yesterday and they are calling for single digits Thursday night. 47 as I write under dark gray skies. Thinking about the “What if” question. What if God is more merciful than we can even imagine toward others as well as ourselves? What if He doesn’t want any to perish? What if He provided a way for all to be saved from destruction for all time? What if all our works are as filthy rags? What if the depths of my sin nature are beyond repair or Gods grace? What if I fall? Who will catch me? Only one answer; my everlasting never failing God and Father creator of the heavens and earth and all things. His. Enjoy the warmth Steve, minus 15 here this morning, but spring is coming! Joyce I just spoke with the National Weather Service people and they are calling now for 8 to 12 inches of wet heavy snow from tonight through Thursday night with temperatures falling to below 0 through Thursday. That is how fast things can change. I can very quickly open a large can of worms by agreeing with your “what if” in regards to every person no matter as seen how evil being forgiven through Jesus’ sacrifice. The problem is that there is something in us that wants others to be punished, yet also what should be in us is total forgiveness for all no matter what. Steve sorry to hear your forecast. That’s a tough one. As for wanting others to be punished that I believe is our old sin nature. But we are not under its control any longer as Paul said in Romans 6 7 8. There’s no place for it against love I Corinthians 13. I think when we truly understand love, which I am still learning, it will make more sense from Gods perspective. I am so thankful that Mart pushes us to think out of the box about many topics that he writes about. I for one do not read into what he says except for the times in his kind way addresses the relational issues we have between each of us in our relationship with God and each other. I do not assume. Reading between the lines in scripture is not assuming but seeing God’s attributes, heart and character even when it is not specifically mentioned but seen by His actions. Assuming and jumping to conclusions about others has proven to be most often because of who we are not really about them at all. That is not reading between the lines that is creating our own lines then not being honest about ourselves and projecting our own thoughts and feelings on others. Yes that old sin nature is quite clever. It loves to blame, shame, and degrade. I was watching a programme last night on television, well, half watching, but distracted because I was cooking as well. The gist of it was that this girl who looked oriental was talking about her brother who had been murdered. She had found the murderer and she said to her that her belief was that her brother’s soul could not rest in peace until the perpetrator was convicted and that his spiritless body would walk the earth torturing others until justice was served. I can recall it was my mother’s belief also that murder would not lie as she put it but she meant it in the same context as this girl in the programme. I believe myself that people who have lost loved ones through murder find it difficult to accept it was God’s will and therefore they may die in distress as all is not well with their soul. There is unknown territory in what is known to God and what is known to man and this is where we must leave the ‘why’ with God and be at peace that He alone will see to it that these souls will have justice and peace. I am thinking of the murders committed in my own country, many have not been brought to justice and their families do not have much comfort unless they can leave it in the Lords’ hands knowing He will do what is right. Thinking about how many times I and others have been shielded by Gods Angels from death. If we knew we’d be astounded. Best to look to God always and not our own understanding or even attempts to understand. There are many examples of untimely death in scripture. Thinking and wondering how others handled it. It would be an interesting study. Far from where I live in West Virginia was one of the most famous feuds in history, the “Hatfield’s and McCoy’s”. All started over the theft of a pig and ended up with many dozens killed/murdered as it escalated. In fact I am led to believe the feud still seethes in the descendants of both families. Everyone wants justice no matter who you are or in whatever situation you are in life. So basic is this to “human” nature that it is present in every culture and in the history of every nation of peoples everywhere. Like all things justice is more perfectly carried out by God, and that includes “revenge”. His perfect Holiness required that justice be served and so He sacrificed Himself as the only true perfect sacrifice, an act of revenge and or justice upon all of mankind’s failures to do right. All out of time for today. The greatest revenge is to love even the blackest soul. I still think it takes a lifetime for some to understand this, but the reward is breathtaking! Street Matthew 11:28-30 are my favorite scriptures, thanks. My mother always said that one person’s meat was another person’s poison and I now understand very well what she meant by this saying. There are people who without even trying have a way of upsetting others and you would have to keep them apart or they could not contrain their dislike of each other. For those looking on there is no apparent reason why they should feel hostile to each other, yet I have seen it so many times in my life where people can not stand to be in the company of another. Unfortunately, when it comes to human nature there is a fine line between love and hate. Sadly many people confuse their ways and thinking with that of God which is why reading between the lines with spiritual insight can take us to a whole new understanding. (Isaiah 55:7-9 NLT) but we can not see those things until we grow closer in our relationship with God. My request has always been Lord teach me more about you. Just like in any relationship the more you are around someone the more you learn about them. Of course there are many who can be in relationships for a long time but never really know the other person. How they think or feel because they really never inquire. Most intimate relationships are those who really listen and dig deep, selflessly into the other person. Then they can come out and honestly say, “I See You” for who you really are. If I call for justice to happen to another then I will be also saying I want justice to happen for me. So if I am thinking that one sin is any worse than another than I have honestly not understood the teachings of God. Nor do I really understand the concept of the grace I have been shown. Death is part of life. For me as a Christian my physical body may die but I will not. is meant to help us explore for ourselves what we know for sure about our God— by reflecting on what he did— and didn’t say? thinking of job’s friends who read between the lines poorly. then again they were not looking. job longed for a meeting with God beyond what i am familiar with. familiar vs knowing. he saw God and walked many days after on the earth. That’s right street. To go along with that how about the religious people in the time of Jesus seemed to be like Job’s friends too. Knew about God but did not know Him at all, then Jesus came and revealed the Father but in a package that would not frighten people. Look at Israel as they left Egypt they had a chance to hear directly from God but they were afraid so wanted an intercessor, Moses. I was thinking how scary it would be to come in contact with absolute power. God condemned the pharisees but do we have a mandate to do the same? Or are we taking a historical fact and becoming little gods? The unsaid message then was learning to love as God loves, not learning to criticize others. Only God has the say between right and wrong. Am I a friend d of Jobs friends or a friend of God? I dare not trust what I think I know through experience. God always surprises me! The absolute power of God is love, dont be afraid of it. Perfect love casts out all fear. It seems the reason that God had condemned the Pharisees was because they were not pointing people to Him but to themselves. They were pointing people to the Law. Jesus introduced grace. Were they following the law? So essentially they were asking people to follow their interpretation of the law which they themselves were not. Then Jesus said to the crowds and to his disciples, 2 “The teachers of religious law and the Pharisees are the official interpreters of the law of Moses. 3 So practice and obey whatever they tell you, but don’t follow their example. For they don’t practice what they teach. 4 They crush people with unbearable religious demands and never lift a finger to ease the burden. 8 “Don’t let anyone call you ‘Rabbi,’ for you have only one teacher, and all of you are equal as brothers and sisters. 9 And don’t address anyone here on earth as ‘Father,’ for only God in heaven is your Father. 10 And don’t let anyone call you ‘Teacher,’ for you have only one teacher, the Messiah. 11 The greatest among you must be a servant. 12 But those who exalt themselves will be humbled, and those who humble themselves will be exalted. So they were wanting people to look to them rather than to God. Or not reading what Jesus was saying at all. Reading between the lines would be knowing that Jesus wanted everyone to come into His kingdom and was very harsh with those preventing that from happening. God condemned the pharisees but do we have a mandate to do the same? He loved them to the end and purchased redemption in a single day. they were not willing to repent and trust the law and the prophets. they insisted on making their own way and denied the truth. they continued to believe a lie and follow the mo of the devil steal, kill, destroy. some repented and believe and fled before the destruction. a new covenant is now in place and the old one is still good. His return is going to be very joyful for the church. not so with the world. most have seen power or exercised it. very few get to see Holiness. this is where fear is found in the un-holy. God will not look at evil. He will destroy by His presents. Jesus is the only safe place. those in Him are safe…and corrected by Him, He is the Good Shepard. Jesus said,” My sheep hear my voice and they follow me.” He will not lose one the Father gives Him. Glad you brought up holiness street. We have our lives here and now to work out “be holy as I am holy”, yet we never become holy enough to condemn sin because only Jesus, who was without sin, could do that. Love conquers, sin destroys. he was urging us to find ourselves— and our God… not off the page. But between the lines. this trust surrounded by His love in Christ Jesus. Means more than assent it means trusting, following, learning, submitting, and doing unto others because of who he is. But be sure to fear the Lord and serve him faithfully with all your heart; consider what great things he has done for you. Mart is a deep thinker, and this is a very profound statement. It requires deep thought. That between the verses and lines of Scripture we expose our most inner being. For example, when we read the Bible are we always looking for ways grace can be offered or are we looking for a form of judgement or revenge. Just the idea of what we may be looking for exposes our basic nature. And may bring us closer to God and the peace He offers us. I am forever going to believe that God was not surprised or blindsided by Adam and Eve’s act of disobedience, that the events in Eden as well as so many all throughout the story of the Bible is about exposing the nature of God and not about me. Exposing the true nature of God and all about His love for you, me and all of us, what He wants for us and what He plans for us. In spite of what we may deserve. I come to such a conclusion, both by what is said and what isn’t. 8.1 inches of snow fell yesterday, with white out conditions off and on throughout the day. Clear this morning at 9 degrees. I was watching a programme last night and it was very enlightening as to what I know and what I do not know about life and human nature. The gist of the story was that the detective had three suspects whom she figured had committed each others murder. She knew they did it and why they did it and knowing the inside out of why they did it she did not take it to the CPS because she knew that the three predators had been for the early part of their lives victims of the persons they murdered. While she did not believe they had enough evidence to take it to the CPS, while discussing it with her college it was evident that she did not have the will to take it because she believed the predators had life long scars left by their victims. She concluded to her college that they where not a danger to society and where never likely to kill again as what they carried with them for the rest of their lives was not only the scars of abuse but the guilt of what they did to end that abuse. One of them had said to her in his interview that if she was to take it to the CPS then he would take the punishment coming to him but until you have suffered what I suffered as a child please do not judge me for my actions because you have to have suffered what I did in order for you to do that. Life is not black and white so we often have to read between the lines to get to the truth. People are complex, life is complex, the longer I live the more I become aware of this and the more I realize that I am glad it is God who is in control. The passage, ““You must be holy because I am holy.” It is a very good example of something that takes reading between the lines to understand. I know I am unable to be holy as God is holy so what does the term holy mean as it is used here? Viv, with your story is it ever right, no matter what has happened to us, to take justice into our own hands. Are we not just as guilty as the one we think we are punishing? I know it is just a program but what is it really teaching? Although we may be justified in an action but would God see it that way? Just imagine the time when God is going to erase all of the pain that scarred us, just as it is written that Jesus bears the wounds from His passion and the cross, He bears them all for all of us. Always my pleasure to read your thoughts. dear been thinking i have been thinking about this between the lines off and on for awhile now. the thing that comes to mind is the double helix of dna that makes us up. two strands bounded together twisting in a circular repeating spiral that is liner too. thinking, like life on earth. the bound is love. the greater strand holding and maintaining the weaker strand. just thinking. jeff/ where is forgiveness? the hardest part of the faith is trusting God against our own will. like abraham taking issac on a three day journey. abrham proved to himself he had reach a place he would trust God in all things and loved Him more than anything else in the world. it really is a staggering faith that can not be explained away. God kept His promises. shadrack meshak and abindigo understood they would die for not serving or worshiping the idol before them. they also knew they would die for worshiping an idol. they made a choice. Joyce it seems to be the same for both OT and NT. Yep, God does not change. Set apart which is what happens when we come to believe. You shall be set apart, just as I am set apart. Pooh, asks is it ever right, no matter what has happened to us, to take justice into our own hands. Are we not just as guilty as the ones we think we are punishing? I know it is just a programme but what is it really teaching? Although we may be justified in an action but would God see it that way? These programmes though not fact are based on facts and just a few weeks back it was revealed that in Northern Ireland homes that were said to be taking care of children where in reality abusing many of them. Not all in the care system were abusers but for 73 years abuse went on without it being reported. Who is guilty those who committed it or those who turned a blind eye? Are we justified in non action is what we have to ask ourselves! If it doesn’t effect me then it is easy to look the other way but is that right in God’s eyes? Do we not have a responsibility to the most vulnerable in society i.e. children, elderly, those with addictions. In looking out for others, I am also looking out for myself, I was a child, I struggle with addiction and I am reaching my senior years. There is a time to speak and a time to be quiet, there is a time for non action and a time for action, and I pray I will speak/act against evil because to do otherwise is to a blind eye to the fact that evil exists. I think both are guilty those who do things against humanity and those who do not take action of reporting it. We are all guilty of many things. The things we do and the things we fail to do. What I was thinking about those who took the law into their own hands were just as guilty of breaking the law themselves. Yes I know sometimes in our world justice may not always be served and people get away with things, God knows I have but I know in the end somehow, in some way justice will be served. But two wrongs do not make a right. Abuse does not justify murder although I could understand the reasoning but not the action. Trust me I have wanted to murder the person who molested my son and those people who sexually assaulted me just to name a couple but I turned them over the the law. Some got away with it and some were punished. The one’s who got away with it which were the one’s who did to me but I have no idea behind the scenes what God is doing. I have a 5 inch scar on the top of my head from protecting an old man from being beat up only to get hit over my head with 2 pool sticks but there have been times when I was surrounded by bikers and saw them do things and did not say anything and I still feel guilt and remorse this very day because I did not do something. Holy love is not hostile, such a difference. Yet it was the hostility of the world toward us that brought us to Christ! Pooh, I don’t believe I can know if I would behave any different if I was a victim of abuse. It is one thing to know you should act a certain way but you do not know how you will react until you are in the situation yourself. The truth is people react differently and as it is God’s territory to judge I believe it is for us to support who we see as the victim and leave the rest to God. I believe the programme showed that the detective and her college’s sympathy was for the murders and she had all the grisly details of the abuse and to my thinking made the right decision. In this life nothing is black and white there are grey areas and many have to make difficult decisions and I believe they do so with much deliberation so as to bring about the outcome that best fits all. When I was ill myself I know what it was like to be numb, and it seems to me that there are people walking this earth who have been so badly abused they cannot feel nothing anymore. Are they free? what is freedom? can a person ever be free from the ghosts of their past? Death may be freedom to some who have not found any peace or comfort in this world. Just thinking this world can be kind or cruel or both and that makes us as much innocent as it does guilty if we accept our portion of responsibility of making it so. been thinking of this seeking justice from the conversation going on. i think of the time the person was caught picking up sticks on the sabbath. they sought justice for the transgression and were astounded at the verdict. it makes you think i had better find away to make peace with God! and fast! you don’t always get grace and mercy. david said blessed is the man who’s sin is not taken into account. they are blessed indeed. My friend George is 94 years old and still just as sharp as ever. He has inherited longevity and good mental health from both his parents. On my back porch is a swing his uncle made for my dad in 1956 and I still use it. Glenna and I often speak about how the world has changed and so many people and family members we knew are gone, and then I remember George. He and I spoke Tuesday about this and about how when Glenna and I talk about such matters, I am always reminded of how different the world, our little town and people are to George and his wife Mary Louise. He like my parents grew up in a time when most people still used kerosene lights and electricity was just beginning to make its way into houses. There was no TV nor telephones and only during his and my parents teenage years, radio. People talked to each other, face to face, sent letters in the mail to those far away and had and needed the community of others in order to survive. It is a very different world we live in today, and yet with all of the conveniences modern living has, people are less happy, less content and seem to show little or no patience with each other. I can’t imagine how different history would have played out if we had the ability to “instant message” during any part of the history of us as a people. When I very first read the first paragraph of our topic, I admit, I thought of our President Trump here in the USA and how he just blurts out comments on his “twitter” “tweet” or whatever it is. Always not smart and seldom does any good, but cause trouble for him and those who supported him. There is a time to speak and a time not to. And if you think about it the time in between should be spent in listening, learning and contemplating, before sensing the need to speak again. That “Between the lines” time is actually a very important time. Rain in the mountains this morning. The weather is like a yoyo, rain one day snow the next, spring one day back to winter the next…No rest. Christ is our peace with God, the rest is about conforming to His image. That is where I seem to take 1 step forward and 2 steps back. Reconciliation is the difficult part, the flesh is weak, I have win battles and I have lost ones. I do not believe that God withdraws His grace and mercy, yes we may turn away from it, but He is waiting for us to return. It is man’s way to withdraw mercy and grace but it is not God’s way as God keeps His promises. Thinking about Gods silence in the scriptures and in our own lives. Does it always mean something negative or could it be His way of teaching us to walk in love, like a toddler learning how to walk on its own. Do we get scared or do we trust Him enough to catch us when we start falling, or worse when we get knocked down? Or do we yoke ourselves to Jesus knowing that for better or worse–Gods got it. And if God is love why does he allow bad things to happen to innocent, broken children who are only trying to survive. Why do we blame ourselves in Gods silences? Why do we blame God? Could it be that blame is the devils game? I’ve been meditating on a quote I read this week, it goes “You are not defined by the people who cannot love you”. It puts to bed all the people I expect to love me but can’t. God is often silent about the why but His love is warm, healing and consistent even in the pain. There is none like Him. Pooh you shared a heartfelt concern the other day about watching abuse. My dear, God does not expect broken vessels to do what they cannot do. As the oldest of five siblings whom I watched get abused every day I too wondered why I didn’t help them more. It was because if I had intervened the punishment for me would have been to see my sibling abused more. And me also eventually again. There was no winning except to be silent and disappear even. Which I got pretty good at doing. There was safety in disengaging from the world. I think God was there also, being silent yet allowing me a place of refuge. “He is my refuge…. ” the psalmist said. Yes He is. Yes, Joyce, We have to make tough decisions as to when to speak and when not to and often we are between the devil and the deep blue see in that either decision will not bring us the required outcome. I believe God is badly misunderstood by us and the truth is He is unfathomable to us because we are so far from what is ‘Perfect Love’ looks like. As a child I believed God was an angry God and I was well into adulthood before I realized that God was about forgiveness and not condemnation. There are so many different concepts of ‘Who God Is’ that I get confused unless I focus on Him and keep it personal, my walk, my connections with God and why I know He is so much more then any person can envisage Him to be. Truthfully, I like my time alone with God and I feel annoyed when others interrupt the quiet time I have to reflect on His goodness. God has been very much my refuge and I believe I would not keep as well as I do if I did not seek His presence in my life. People are so impatient, but God, has time to listen, and sometimes that is what a person most needs, is for someone to listen, and it is often in God’s silence that clarity on things become clearer and each time that happens we are not only strengthened by God but our peace in Him increases as well, and we are growing in our trust for Him which is what I believe is pleasing to God. one of the great stores of what is said and not said of all time. 26 And He answered and said, “It is not good to take the children’s bread and throw it to the dogs.” 27 But she said, “Yes, Lord; but even the dogs feed on the crumbs which fall from their masters’ table.” 28 Then Jesus said to her, “O woman, your faith is great; it shall be done for you as you wish.” And her daughter was healed at once. If one might want to think a little deeper as to what Mart was saying, “he was urging us to find ourselves— and our God… not off the page. 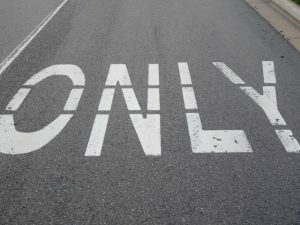 But between the lines.” then listen to “discovertheword.org” lesson 11 for today and see what is meant by reading between the lines. it’s good to know that God never gives up on us. it is also is really good to know God. How blessed are all who take refuge in Him. 41 They will burn your houses with fire and execute judgments on you in the sight of many women. Then I will stop you from playing the harlot, and you will also no longer pay your lovers. 42 So I will calm My fury against you and My jealousy will depart from you, and I will be pacified and angry no more. 43 Because you have not remembered the days of your youth but have enraged Me by all these things, behold, I in turn will bring your conduct down on your own head,” declares the Lord God, “so that you will not commit this lewdness on top of all your other abominations. 15 and He died for all, so that they who live might no longer live for themselves, but for Him who died and rose again on their behalf. street what was going on in the generation that Ezekiel wrote those words and to whom was he writing them? Do you know why God was angry? Was it justified and was there hope prophesied that that anger would be satisfied? God can never be accused of not being just or to blame for sin. the fact that we are here demonstrates much grace and mercy on Gods part. the question will you be angry forever? i think not. i thank Him for His abundant grace. 18 Slaves, in reverent fear of God submit yourselves to your masters, not only to those who are good and considerate, but also to those who are harsh. 19 For it is commendable if someone bears up under the pain of unjust suffering because they are conscious of God. 20 But how is it to your credit if you receive a beating for doing wrong and endure it? But if you suffer for doing good and you endure it, this is commendable before God. Thanks for the encouragement street. I’ve had a tough few days with the ungodly where I live, in fact I’m taking a couple days to heal and recoup. Gods love is so generous I can’t wait to get back in the battle though! Street wrote on Feb 9, that Jesus was harsh for the Pharisees, but between the lines…. He still died for them. Problems with posting, I had typed two times and long comment, and then the phone turns black, so I was able bit hasty posting this one. The: I will, should be erased. Wow, it is really there, and what a promise! All the ones Jesus called hypocrites will see Him again, if they see Jesus as their Savior! God asks little of us yet we add burdens to ourselves by our expectations of what we think we should do for God. When God is telling us that it is finished, He has finished it, He has reconciled us through Christ and our part is ‘so simple’ too simple for us to understand. Happy Birthday Mart! Learning with and from you over these many years has brought such joy to my heart. Thank you for the life impact through our Lord and Savior. No one can cheat God’s children of God given destiny, to say so is to doubt God’s sovereignty. We all have weaknesses regardless of our strengths but God accepts us as we are, we are His work in progress and He gave His son to redeem us and is not going to give us up, that is God’s promise and as such He will not let any weakness known to man get in the way of that promise. Their cry goes up, “How long”? Lucifer knew and believed in God. It was his pride that caused his separation from God. Jesus said even the demons knew and believed in God. Pride rejects Gods holiness and sovereignty. Pooh, can you do anything about a person’s pride separating them from God? Has God ask you to intervene or do you take it upon yourself to do so? Do you not trust God’s sovereignty in dealing with others weaknesses as He helps you deal with yours! Lucifer wanted power for himself and control over others! Am I any different if I try to take control of others weaknesses? What gives me the right when I struggle with my own weaknesses and need God’s help as much as they do? Saled, I hope your looking in and am wondering if you getting hammered from all the snow reported for Maine…No contest between us this winter you guys in Maine have it hands down. I do hope you and yours are safe and unaffected seriously from all the snow. Viv some things never change on this blog and though I sometimes agonize over the blatant remarks I have to let them go as confrontation seems to have no effect. Sad. Viv, did I ever lead anyone to think that I have the ability to do anything other than recognize my own need or my own pride. I posted a poem by Beth Moore that I received on facebook this morning and thought I would share it. Not to point a finger at anyone because I am fully aware of my own issues and I thought you guys might enjoy it as others did on facebook. But I realize they receive things a bit better than most here because they know me and know I was not directing it to anyone in particular. Whether a person is convicted of something in the poem, it was not me doing the convicting. So don’t get your knickers all bunched up. You guys get offended so easily even when no one had any of YOU in mind just thought it was interesting so I shared it here. Beth Moore does many woman’s bible studies. IT IS NOT ABOUT ANY YOU. If you thought it was, maybe that is God and not me at all. I didn’t read the poem until now, sorry no conviction here. Knickers? Lol. No it’s about the way you put down those anonymous people who you perceive as not knowing/understanding/believing God. Or reading the bible, or or or you just don’t get it. You must criticize those different from you because of your low self esteem, I get it. Time to get some Christ esteem. Thanks, Steve. All is well here. We got about 45 inches from the last two storms and are expecting more tomorrow. After that, we are hoping for a clear stretch! My Dad plowed the roads here for 25 years, and now my nephew is part of the plow crew. I’m always impressed that they are able to keep our roads open in such storms. I did not think it was about me, Pooh, but I do think it is a very negative poem and does not take into account God’s sovereignty. You are rather tetchy, if I may say, and your posts tend to reflect this. Sometimes its what you don’t say that bothers me and I don’t seem to be the only one on this blog that as concerns about this. You really can’t have a discussion without you being right and that sounds rather self-righteous from where I am coming from. Your friends on facebook agree with you and that seems to suit you but I thought it was about growing and not just agreeing for the sake of it. I learn from people who don’t agree with me and I usually find they are people who don’t throw a tantrum because I see things differently but share their comments in a spirit of enlightenment. Pooh, people here do NOT get easily offended. Don’t cut yourself short …you work very long and hard to offend people for reasons not unbeknown to most here. Sometimes we get caught up in the moment and forget that you are sowing your own crop. Actually I suppose this will annoy you to no end, but we stop feeding on your arrogant and condescending meals soon after you serve them. Hope your eyes get opened soon. To anyone feeling weak…. please spit it out…pray for the chef, and stand strong. Pooh, Thursday I am going to serve in the prison ministry regardless of what you said when the discussion was about Jonah.Having said that, I would like to commend you for your recent posts on this site and odb,The Holy Spirit spoke to me through you. Pooh, you are correct, your comments show a proud and judgemental spirit towards others weaknesses. I am aware of times I have let pride get in the way of not only my spiritual growth but my relationships with others and with God’s help I am working through it, unfortunately for me I have other weaknesses which rear their ugly head all too often. I accept though that Christ died for my weaknesses and leave it with God as I am sure many others here do. Perhaps you should ask yourself are you more concerned about being right about others weaknesses then you are concerned about encouraging them to grow out of their weaknesses. Chris, what did I say about Jonah to deter your prison ministry in anyway? Viv, could you provide an example of what you are accusing me of? Your comment not to get my knickers all bunched up is judgemental i.e. you made a judgement on my comments because I ask you questions that you did not like and so rather than answer my questions you choose to judge my comments. Your reactions like I have said before are more about you than me. Did you not get upset over the poem of Beth Moore that I shared? There has not been one question that you have ever asked me that I have gotten upset over in fact I can not remember you ever asking me any questions that I did not enjoy answering but you have insinuated by the names you called me that I was a know it all, critical, judgemental and picking on people’s weaknesses? I asked you when have I done that?? Because I have not done those things you failed to answer that. Now see the things you accuse me of are the very things you do yourself which says more about you than it does me. Viv, Please don’t take her bait. The woman has done this to everyone here except Mart, so she knows exactly what she is doing. She always makes it a point to praise him when she is taking any of us down. Pray for her but please don’t let her steal your joy and peace. Your messages are uplifting, honest, and interesting. Be Blessed. The only person that takes you down is YOU!! Thank you, narrowpathseker, we are thinking the same way, I see Pooh as one of Job’s comforters and I have met many of them in my life. You are correct Pooh, the only person who can ALLOW yourself to be taken down is YOU but you can have help along the way. I rather hope that I build people up rather than be part of their downfall. You are honest with God, Pooh, and that is what’s important but your trust in others is obviously lacking and because of that I will no longer comment on your posts as narrowpathseeker as noted I will end up letting you steal my joy and peace I have in Christ and as you say the only person that can allow it is me. I pray that you will understand that I bear you no malice and that you eventually can be at peace with others as you are with Christ. Yes we are known by the kind of fruit we produce. But that doesn’t change the fact that we are still loved by God–in many ways and for all time. Some just don’t care about the fruit. Sad.